7 St. Thomas Street in Toronto, a commercial building by St. Thomas Commercial Developments in Yorkville, Toronto. 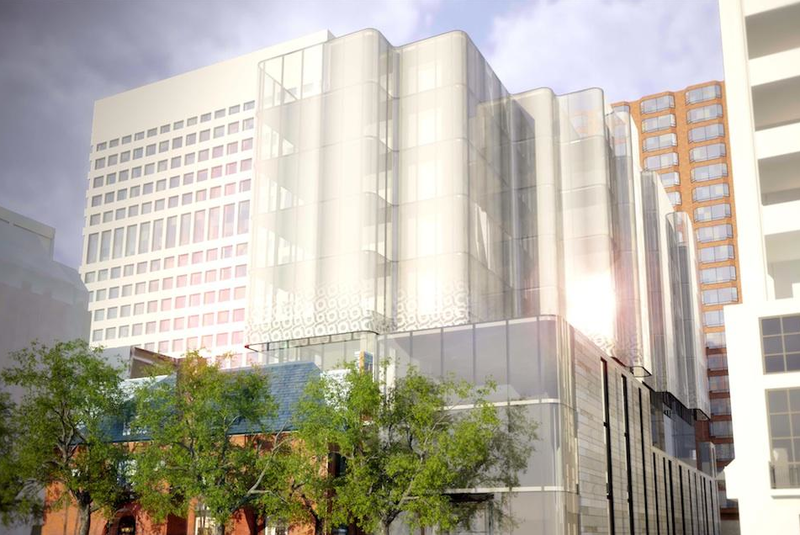 Designed by Hariri Pontarini Architects, a 9-storey tower will be built atop the row of bay-and-gable Victorian houses currently located at St. Thomas and Sultan Street. 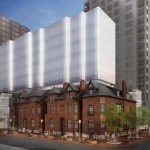 The building will combine six restored and modernized 1880s-era heritage buildings that currently rest on the site. 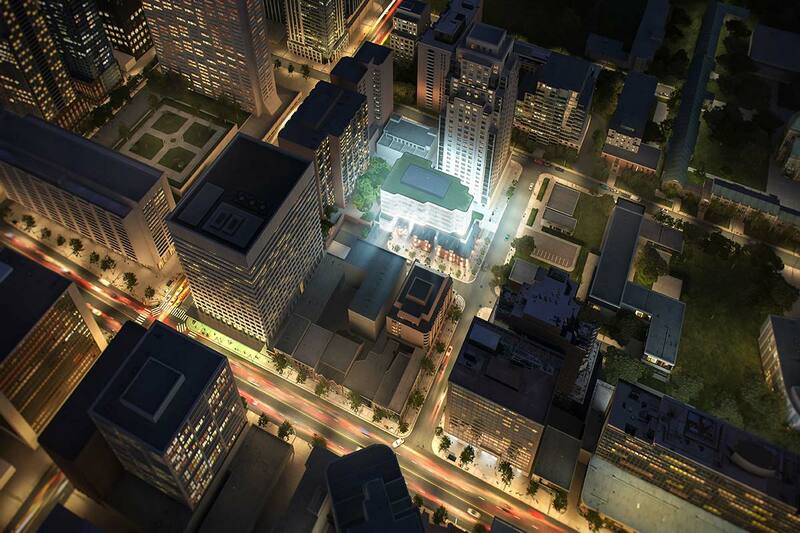 A new glass tower will be built atop the restored structures that will act as part of the podium for 7 St. Thomas. The remainder of the podium will wrap around the heritage buildings, match them in proportion and include the use of glass and stone to create contrast and enhance the characteristics of the heritage façades. 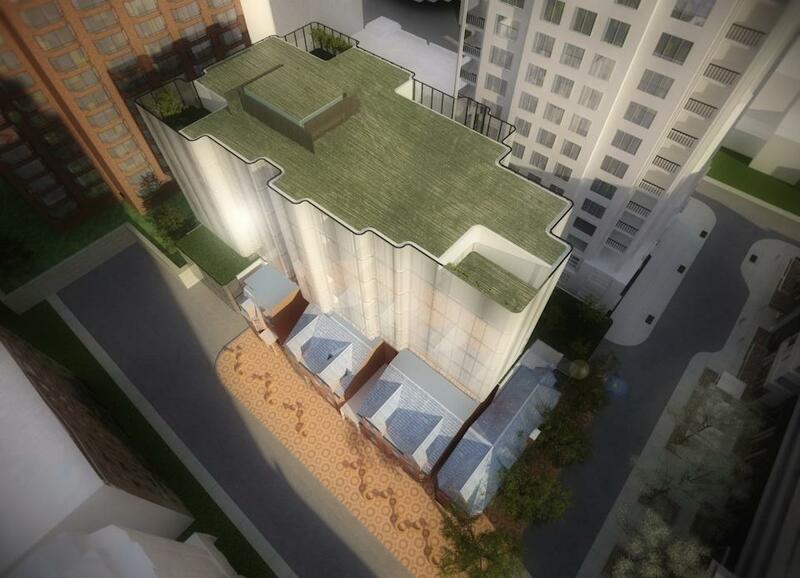 The project will be located at 1-9 Sultan Street and 11 St. Thomas Street. For more Information on 7 St. Thomas, please fill your contact information out below!